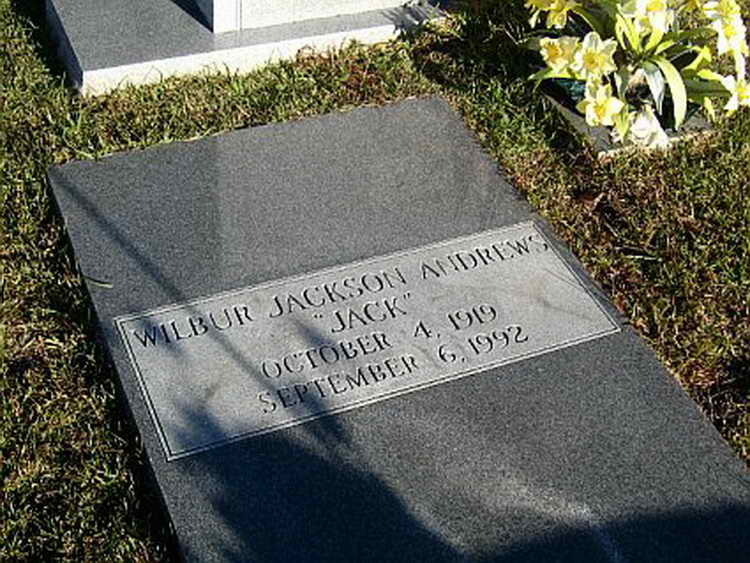 Grave marker for Wilbur J. Andrews in the Crown Hill Cemetery, Albany (Dougherty county), Georgia. Wilbur, already a Pfc in the National Guard, enlisted in the Army at Macon, GA and retained his rank. As a volunteer for parachutist duty he was assigned to the 507th PIR and was transferred to the 508th Medical detachment as a cadre team member on 16 October 1942. On 4 March 1943 he was appointed to the rank of Corporal and then on 17 July 1943 was promoted to the grade of T4. T4 Andrews was hospitalized in the 184th General Hospital, Mansfield, England on 31 July 1944 and was listed as a non-combat casualty. He was subsequently transferred to the Parachute Training Regiment, Ft Benning, GA on 1 September 1944. He was discharged on 18 December 1944.